Welcome to episode 9 of The Royal Pains. 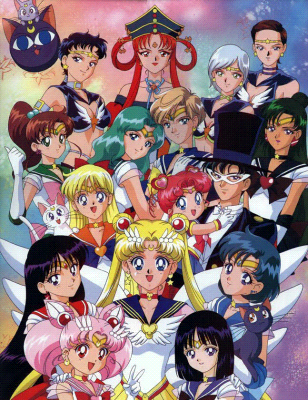 We discuss one of our favorite animes of all time, Sailor Moon. Join us as we discuss Serena and the girls! We want to hear from you! Here are some ways to contact us. TRP10: Glamazons on the Loose! I listened to this show just after you released it, and enjoyed it immensely as I have all your shows thus far. The background information you talked about in regards to Sailor Moon was really interesting. I had no idea that the episodes that ran in the US were so cut up by the conservative censors at home. Thanks for the show, and much love per usual from Bangkok! progressively says : I absolutely agree with this ! Ummm… Where U beyotches be hidin’ ? Just discovered your podcast show on Sailor Moon, and wanted to say very nicely done. I also liked your explanation of the story of Sailor Moon as well.